June | 2013 | hair, there and everywhere! Greetings! I am starting a new segment of my blog where I highlight ingredients that I find are essential or preferable in a HHJ. The spotlight will also include how I use these ingredients and how they have benefited me. I feel that I must start off with the most essential ingredient in a HHJ (and life period) – water! Agua. Eau. Nero. Acqua. Wai. Aigua. 水. Ama. Wàsser. H20. No matter how you say it, water is a vital to all know forms of life. It is so simple and readily available, yet so underutilized in the black community when it comes to hair care. We probably have heard the old myths “don’t get your hair wet, cause it will dry it out!” but that fallacious statement could not be more further from the truth. Water itself will not dry your hair out, but if you put things on your hair that does not promote moisture retention after you wash it, then yeah, your hair will dry out (which is odd … because eventually all things dry … I guess it depends on what one’s definition of “dry out” is … hmm). So instead of using sources of true moisture (where water is in the first or second ingredient), we use greases, oils, pomades, etc. that promise to “moisturize” our hair with harmful ingredients such as mineral oil, jellies, lanolin, etc. (look no further than this post, where the Isoplus product promised to “moisturize,” yet didn’t contain water!) When those products do not deliver anything but limp and greasy hair that is dry and breaking, we slather on something else! Water is comprised of one oxygen and two hydrogen atoms connected by covalent bonds. Most often, water is found in the liquid state, but can also be found in its solid state (ice) or gaseous state (steam or vapor). Water has long been touted as beneficial to health from a holistic vantage point: from preventing dehydration, to improving the appearance of skin, to weight loss, to maintaining digestive health and to having a healthy head of hair! – Leaving hair in an excessively wet state can cause breakage. 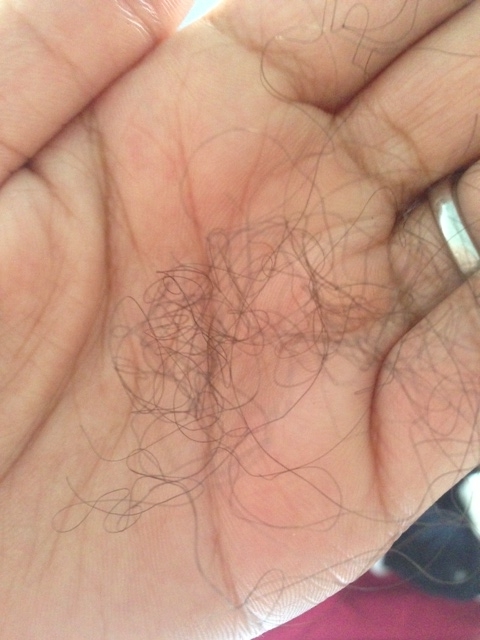 This is due to hair losing it’s protein structure and elasticity. I realized that when I would baggy my hair, it would be gummy and stretchy, so I abandoned it early in my HHJ. I am 100% sure that my length retention has come from from me keeping my hair properly moisturized with water-based products!! Also, it is important to make sure that you stay hydrated from within. One of my goals for the summer is to drink at least 60 oz of water a day. I am doing quite well on this challenge. I’m Back and Hair Updates! – I plan on doing a color rinse this weekend (like I did in March). I think that the semi-permanent no-lift color has been great for protecting my porous ends, so I think it’s time for a refresher. I will be doing it myself, as I don’t want to have my hair flat ironed or pay an extra $20 to have it rolled. I will be using the Clairol Moisture-Rich Colorgloss system. I am not sure if I will just do clear or do some shade of brown. I will get an opinion when I go to Sally’s. – I am scraggly-end MBL! Yep!! There are a few hairs that have touched that point! I think by next relaxer in 9 weeks, I will be ready to claim it. – I am loving coconut oil pre-poos. My hair retained so much more moisture when I pre-pooed with it. This past weekend I did not pre-poo with it and my ends are so dry!!! Coconut oil is back in my life!!!! – I am enjoying my new dryer!! It gets uber hot, though. I am always sweating by the time I finish. – I am doing the L-O-C method and it seems to be doing fine. – I bought two Hercules Sägemann combs after seeing a bunch of hair in my comb a few weeks ago. I have been meaning to buy seamless combs for a long while, but two weeks ago really lit a fire under my behind! 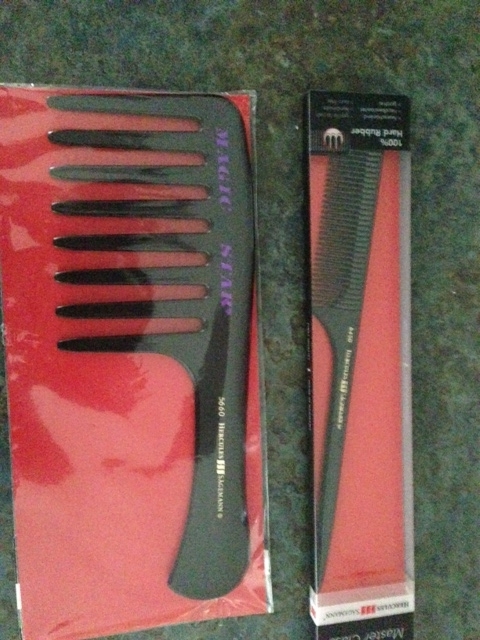 Here are the combs that I ordered: the HS6450 Tail Comb for roller setting and my absolute love, the Magic Star Jumbo Rake. – I have been bunning a lot, as I am trying to do high-intensity workouts 4-5x a week. I may have to start incorporating mid-week co-washes and air-drying sessions … that’s to be determined! Meet Brianna and a Doll Length Check! Wash Day with Something Old and Something New! 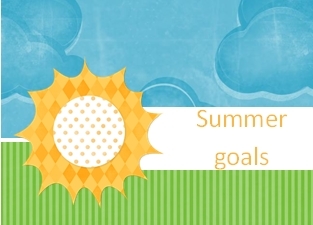 It’s been awhile since I have posted some goals (see these from last summer) and I felt that it was high time to do them, considering that I am heading into a 13 week relaxer stretch!! 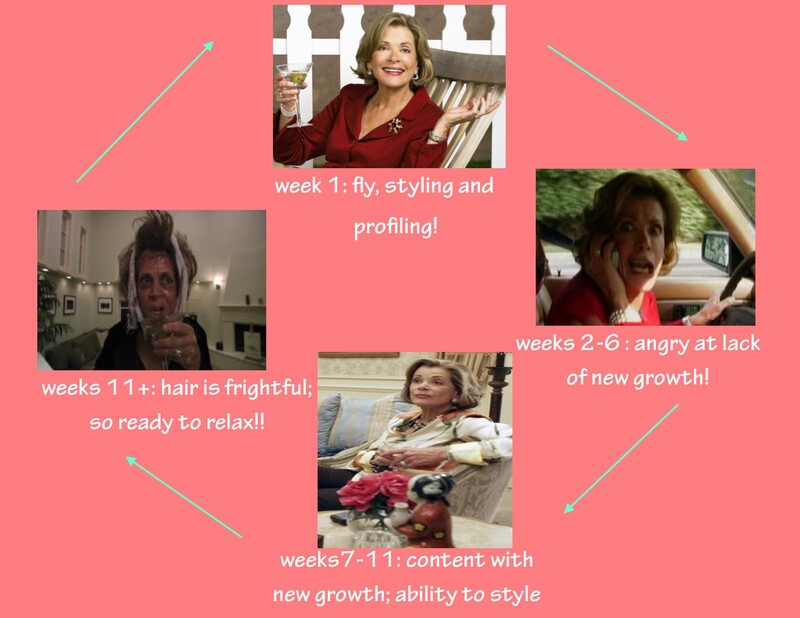 Summertime is upon us and for some, it’s when their hair grows the fastest … for some reason mine grows faster in the winter! Last summer did not yield too much new growth for me. I am not sure why that was, but from May to about September, it looked like I gained maybe 1.5 inches, which is pretty slow for me! I will definitely be looking to maximize growth and can only hope to get the same amount of growth that I did the past relaxer stretch, which was about 2 inches in the front and back and 1.5 inches in the middle (yes, I measured). – MBL – I have about an inch to go!!! Well there you have it … my hair goals for summer! I will check in periodically to look at my progress! Here Comes Jackie Kennedy Onassis Obama!! This past week, I was at Ann Taylor with a colleague from Hawaii and saw the most beautiful, colorful silk scarf!! It was marked down from $70 to $9, so I couldn’t leave it. I tied it around my head and decided I would use it for when I went on the lake Saturday! In the store, I put on my [authentic] Chanel shades and officially coined myself “Jackie Kennedy Onassis Obama!! !” Jaimie let out a big laugh! 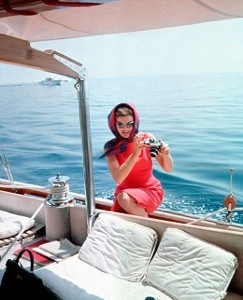 It reminds me of pics when I would see Jackie O in all her classiness on a yacht with her big shades and scarf!! 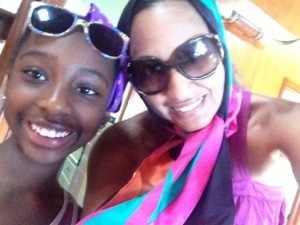 Fast forward to Saturday when we went on the lake … I made sure my hair was moisturized and seal, clipped up and then I tied on the scarf!! I sort of looked like a Polish refugee (Hahhaha!) but more all I thought I was serving “regal white woman tea” like my favorite vlogger Funky Dineva says!! People kinda looked at me a bit weird (probably assuming I was a Muslim because I was definitely not in Cape Cod … It was more like the Redneck Riveria), but that was no concern of mine! It was a great way to keep my hair protected from the wind and water! A few days ago I blogged about how my hair has been breaking less and less, which I am extremely happy about. I have been incorporating a new technique of how I apply my moisturizers to my hair that seems like its beneficial. 1. Section hair into 6 parts. 2. Take one section, apply moisturizer to your hand and apply moisturizer to bottom length, working all the way up to the top. Apply some more moisturizer and begin to twist hair in two strands, applying more moisturizer if necessary. 3. 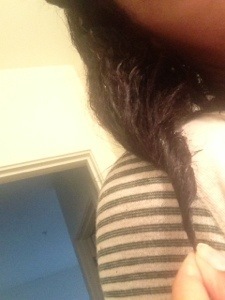 Apply oil to the bottom part of twist, the work up the hair. 4. Repeat until all sections are done. I do this nightly and it feels like my hair gets more moisture, especially when I apply when twisting my hair! Here is a photo … It’s just how the twist looks after I M & S! !